Take a gastronomic tour through Ascot Hotel in Bur Dubai, where Twin Spice restaurant will give you a premier treat of Thai and Chinese delicacies, which are cooked under the supervision of expert chefs. The menu of this restaurant includes exotic dishes of both countries along with the array of cocktails to swab the food down. Interior is not bad either, but 70’s or 80’s furniture gave it a retro look, which makes this eating place different from the rest. Staff members are also quite attentive and provide prompt service to the customers. In short, twin Spice is worth the money if you want to enjoy fresh and delicious Thai dishes at economical rates. 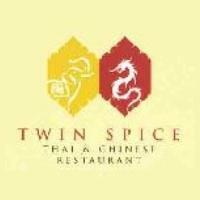 Twin Spice restaurant is a great place to enjoy Thai cuisine along with Chinese delicacies. The menu of this restaurant highlights both cuisines with different colours so guests would not face any problem while selecting a dish. Guests can drop in to savour lunch or dinner at this eatery that also offers alcoholic beverages together with regular drinks. Gracious, caring and knowledgeable staff of this bistro also provides first class service to the clients, which makes dining at Twin Spice a delightful experience. The operational timings of this eatery for lunch are from noon to 3:00 pm and for dinner it's 7:00 pm to 1:00 am. Twin Spice restaurant follows these timings on all seven days of the week, as this venue open daily. Ascot Hotel, 3 C Street - Dubai - United Arab Emirates. 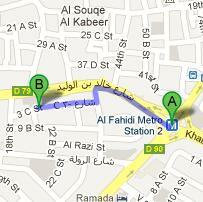 Al Fahidi Metro Station 1 is 700 meters walking journey from Twin Spice restaurant in Ascot Hotel, which can be completed in about 9 minutes, if a patron head in the southwest direction on Al Mankhool Road/D 90 towards Khalid Bin Al Waleed Road/D 79, after making an exit from this metro station and then turns right onto Khalid Bin Al Waleed Road/D 79 before making a left turn onto 26th Street. This will lead the pedestrian to another turn that goes on the right side onto 3 C Street, from where destination is not too far and can be easily located on the right side after covering some distance. Bus numbers 21, 29, 33, 42, 44, 61, 61D, 66, 67, C1, C5, C7, C18, C19, X23 and 83 serves Rolla - Dubai bus stop that is about 400 meters away from Twin Spice restaurant. This makes it a 5 minutes walking journey, if a bus passenger head east on Khalid Bin Al Waleed Road/D 79 towards 26th Street from this bus station and then turn right onto 26th Street. After that he or she need to make a right turn onto 3 C Street in order to get to the destination, which is located on the right side. See map for directions.